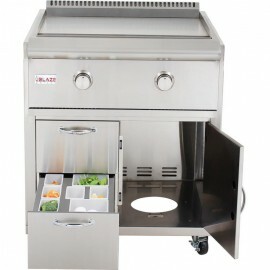 This stainless steel shelf kit provides a convenient work space solution for the Blaze Griddle Cart. 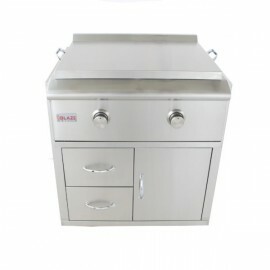 This three piece kit provides a solid work area that extends all the way around the griddle providing space for both food prep and serving. 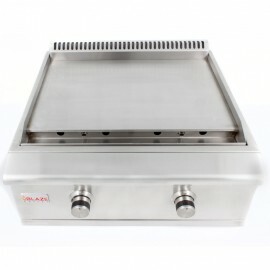 One shelf also includes a built-in cutting board for food prep, and a catch basin for any stray juice or other liquids. These are all removable for easy clean up. 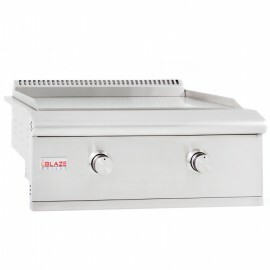 Lifetime warranty to the original owner against defects in manufacturing and workmanship. This warranty extends to the original purchaser against manufacture defects for products purchased for ordinary single-family home use. 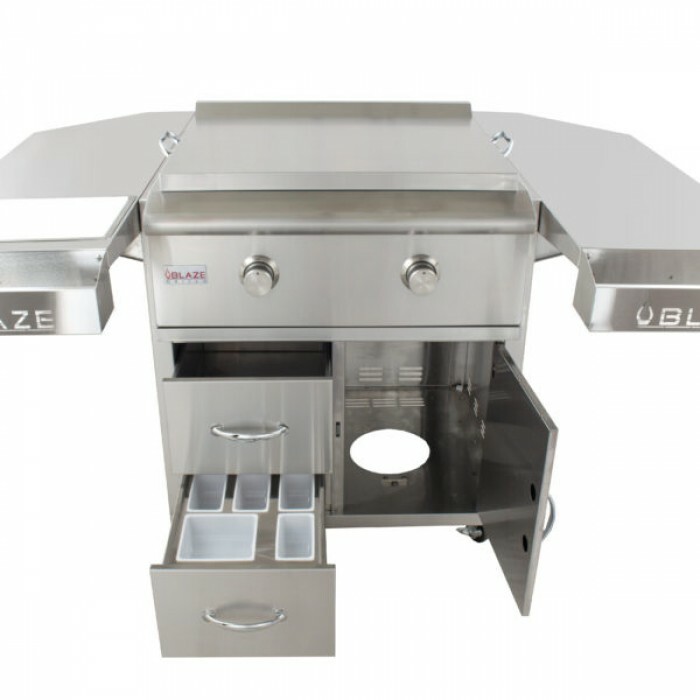 Blaze griddle cart shelf kit has a lifetime warranty that warrants against any defects in the manufacturing and workmanship.